Hi friends, and welcome to the party! Thank you so much for stopping by to join us this week. 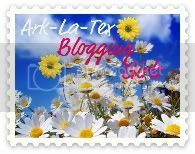 Wow, there were so many awesome posts at the party last week! I can't wait to see what you've been up to this week. I am finally fully recovered from my tooth ordeal, but it took over a week for the pain to stop. That just came out of no where. I hope you all are having a great weekend. We have a wedding to attend this afternoon. My nephew is getting married. So thankful the rain held off. Celebrating Everyday Life shared how to create this easy and elegant Easter basket. Kingsbury Brook Farm did a fabulous job transforming this window shutter into a wall planter. 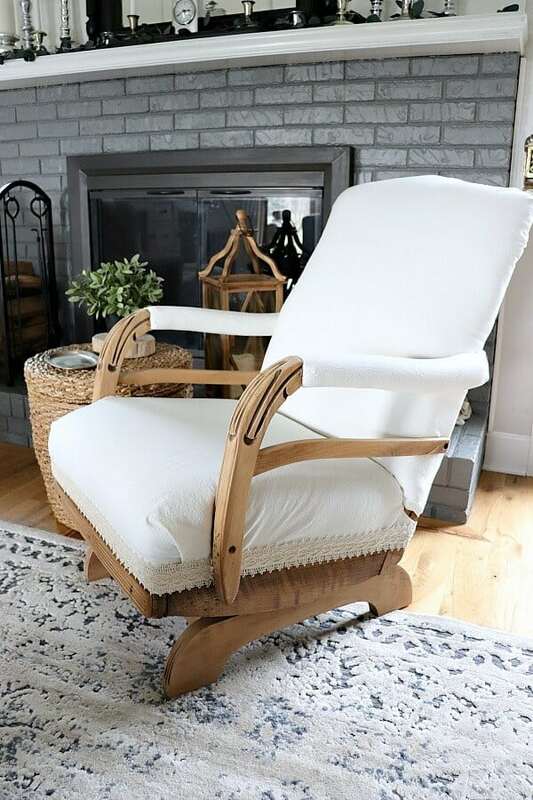 Wow, Noting Grace did an awesome job giving this vintage rocking chair a new look! Wow, check out Rain on a Tin Roof amazing budget friendly home office! 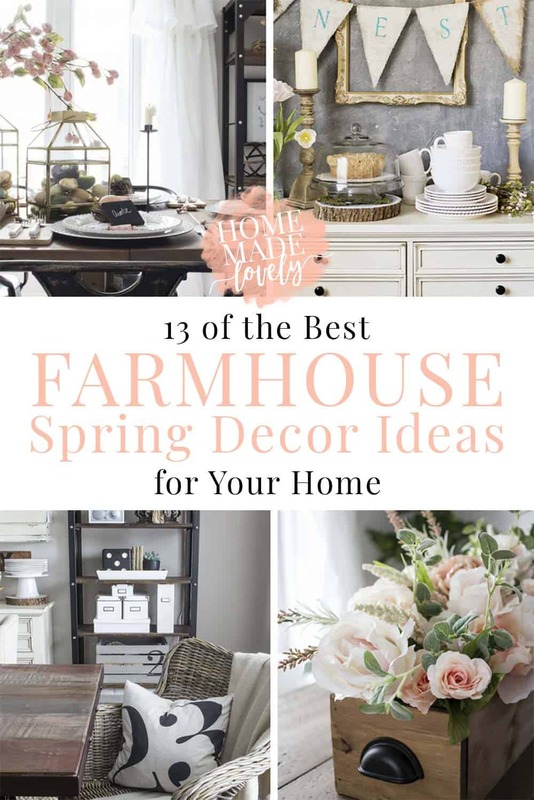 Home Made Lovely shared some gorgeous Farmhouse spring decor ideas. 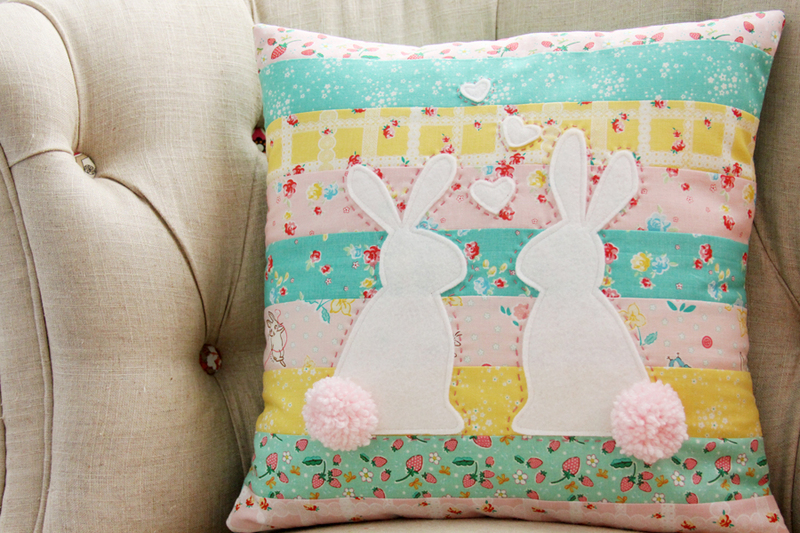 I love this precious spring bunnies pillow by Flamingo Toes. This decoupaged glass goblet dish stand by Purple Hues and Me is so gorgeous for spring. Bombshell Bling shared some awesome free Easter printables. 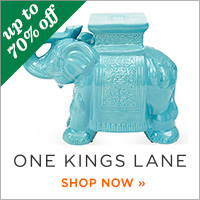 Check out all the great styles. The Boondocks shared a great way to recycle those tin cans into something useful and beautiful. 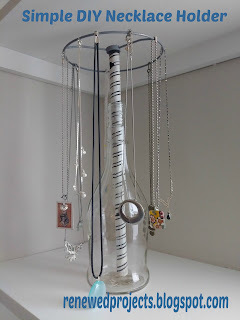 Renewed Projects got so creative when she created this easy necklace holder. 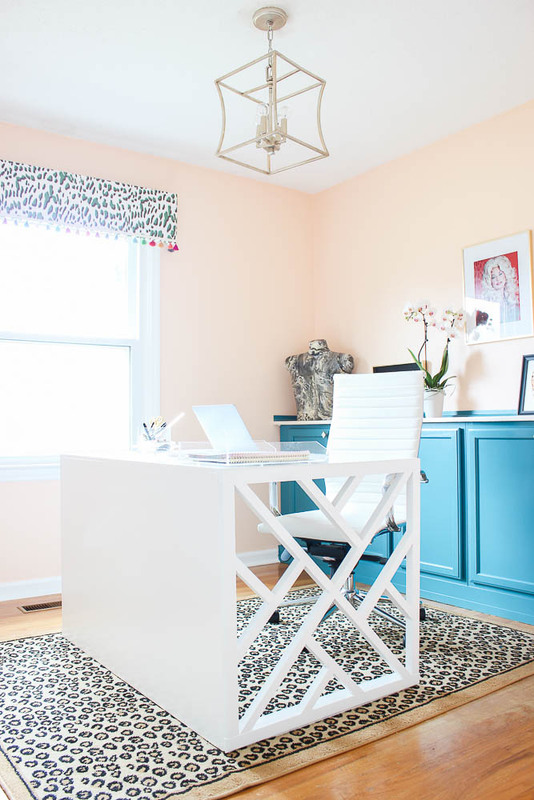 I love this Moroccan side table makeover by The Style Safari. 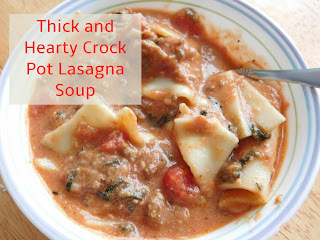 Our Unschooling Journey shared this thick and hearty crock pot Lasagna Soup. YUM! This Roasted Pork Loin by Master Pieces of My Life sounds amazing. 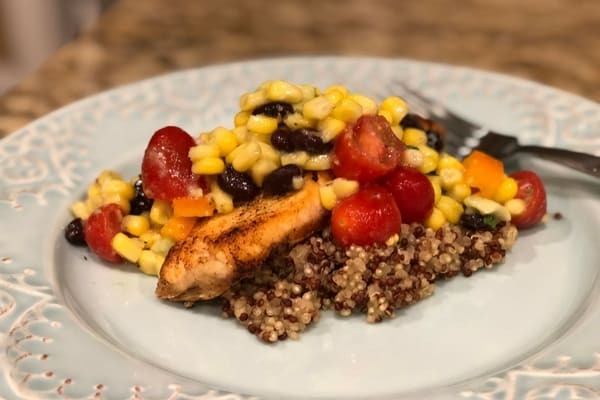 Jodie Fitz shared her quick and easy Pan Seared Salmon with Corn Salsa Salad. It looks so delicious! 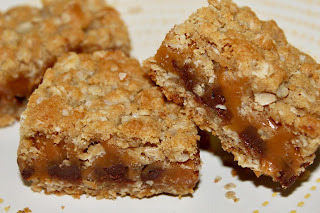 These Vanilla Carmelitas by Living on Cloud Nine sound so yummy. How awesome it is to see my dollar store decoupage goblet dish stand featured! Thank you so much, Kathy! Hope you're having a great weekend! 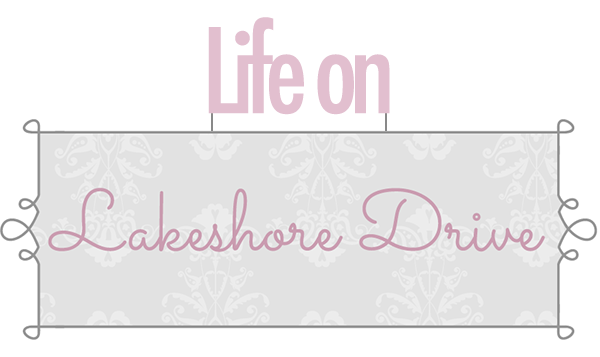 Thanks for hosting your fabulous parties! Thanks for hosting, Kathy! I am so glad you are feeling better! So many great features this week! Thanks for hosting! 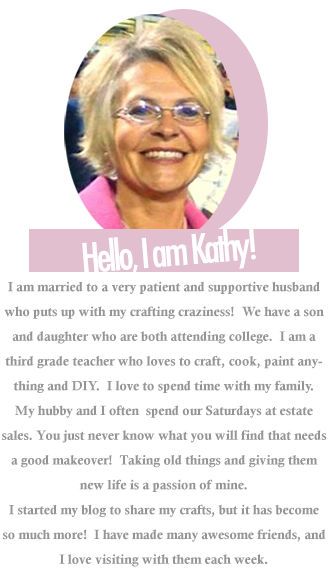 Kathy thanks so much for the feature and for hosting this great party each week. I hope you are enjoying your weekend. Thank your for the party! 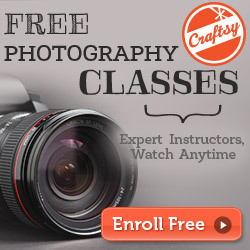 Thanks so much for hosting all the fun and inspiration! Enjoy my Spring Porch and Botanical Mantel! Happy Spring! So much Spring and Easter inspiration here. Thanks for the party, Kathy and have an awesome week! Thanks so much for hosting!! LOVE all of the great posts!